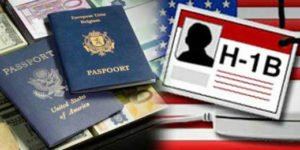 The Federal US agency has announced that starting April 1st people aspiring to apply for the H-1B visas can start submitting their applications. There are a maximum of 65,000 applications being accepted by the USCIS which is most popular with IT professionals and companies in IT services. It is said that due to the high level of applications being anticipated the cap will be met in the first five business days of the filing season. The first 20,000 H-1B petitions filed on behalf of individuals that have a US masters degree or higher will be exempt from the 65,000 cap. The USIC is anticipating to receive enough petitions by April 7 to fill both caps.